Blisters and Boxes (FoW) in preparation of 8 figures or 6 figures Command Group € 3.5. Boxes company to Spain in Flames ™. Special Leaders in preparation. Vehicles in modeling phase. SCW-07 Legion artillery piece 70/16 with artillery. 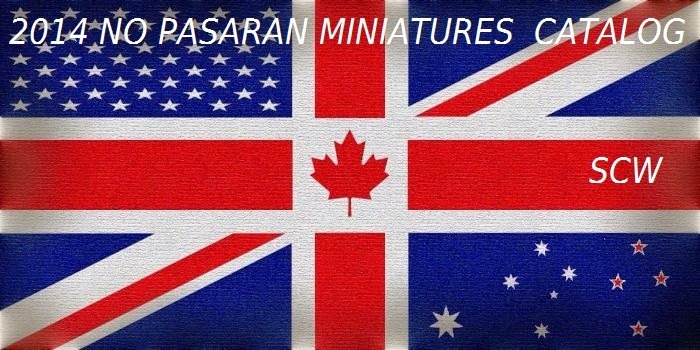 CSW-08 Legion Anti-Tank piece 37mm with servers. SCW-47 Regulares Anti-Tank piece 37mm with servers. SCW-58 Troops with Adrian helmet. SCW- 59 Troops with czech helmet. SCW-65 Anti-Tank piece 45 mm with servers. SCW-66 Observers group and communications. These boxes and bags are specifically made ​​to play a FoW with new lists of Spain in Flames (V.3). These figures represent the elite of the Spanish army in Africa. They wear the uniform used in the campaigns in Morocco. It was used at the beginning of the war. Among other distinctive features on the harness, cartridge and boot-sandal. In early 1938 was given them new equipment. Composed by: 5 officers, 6 NCOs, 4 champions, one cornet of orders, 2 LMG, 2 light mortars, 48 legionaries. Support weapons Section (Spain in Flames) 1 small command base 4 bases of LMG, 4 bases Valero 50mm light mortars . Compoused of 4 MMG and Command Group . Section means mortars (Spain in Flames): 1 command base three observer Figures 1 base with two figures with 4 bases and three 82mm mortar Valero servers. Comprising of 4 81mm mortars Valero with 3 servers each control group and transmissions and observers. With 1 officer, 1 standard bearer, 2 NCOs, 24 legionaries. These figures represent the militia in the early months of the war. Without uniformity and often with overalls and symbols unions or parties. Many figures are also used to represent the subsequent Republican regular army. Box group. Composed. 4 officers, 2 commissioners, 4 champions, 2 LMG, 2 50mm mortars, 72 militants. These units were from the first true to the republic becoming elite units within the Republican troops time. These figures can be represented as both guards assault police, another outstanding units of the republic. Command Group company two bases of 3 figures. 7€033B MEDIUM MORTAR SECTION Section means mortars ( Spain in Flames ): 1 command base three observer Figures 1 base with two figures with 4 bases and three 82mm mortar valero servers. 11€034B HEAVY MORTAR SECTION Section of heavy mortars ( Spain in Flames ): 1 command base three figures based observer 1 with Two Figures 4 bases with mortar 120 mm with 6 servers. Comprising of 4 120 mm mortars with 6 servers each control group and transmissions and observers. Company Command group two bases of three figures. each with: 1 command base (3 fig) and 6 troop (4 fig). 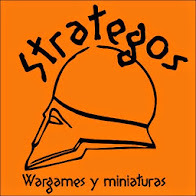 Section MMG (Spain in Flames): 1 small command base, 4 bases of MMG with three figures. Comprising of 4 MMG and Control section. The 'Regulares' units are created indigenous troops in Spanish Morocco. They were very warlike troops and widely used as shock troops. Along with the legion were the spearhead of the national army. These figures also serve to represent the "mehalas" the caliphate and handles Ifni. Company Command Group : 2 small bases three figures each. 1 section of support weapons: LMG 2 bases, one 50mm mortar bases Valero. 1 Section of MMG: 1 small command base, 4 bases of 4 figures MMG MMG and control section. 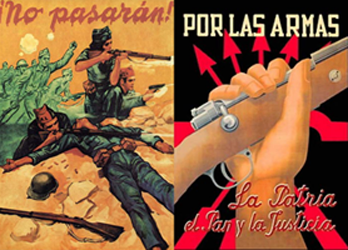 INTERNATIONAL BRIGADES . REPUBLICAN INFANTRY . Comprising of 4 81mm mortars with 3 servers each control group and transmissions and observers. Section of heavy mortars (Spain in Flames): 1 command base three Figures 1 based observer with Two Figures 4 bases with mortar 120 mm with 6 servers . -Blisters and boxes in preparation. - Armies Documentation, colour guide and uniformology in preparation. - Shops and dealers are welcome. Yes, very soon. those troops are being prepared and we made ​​some previous models.